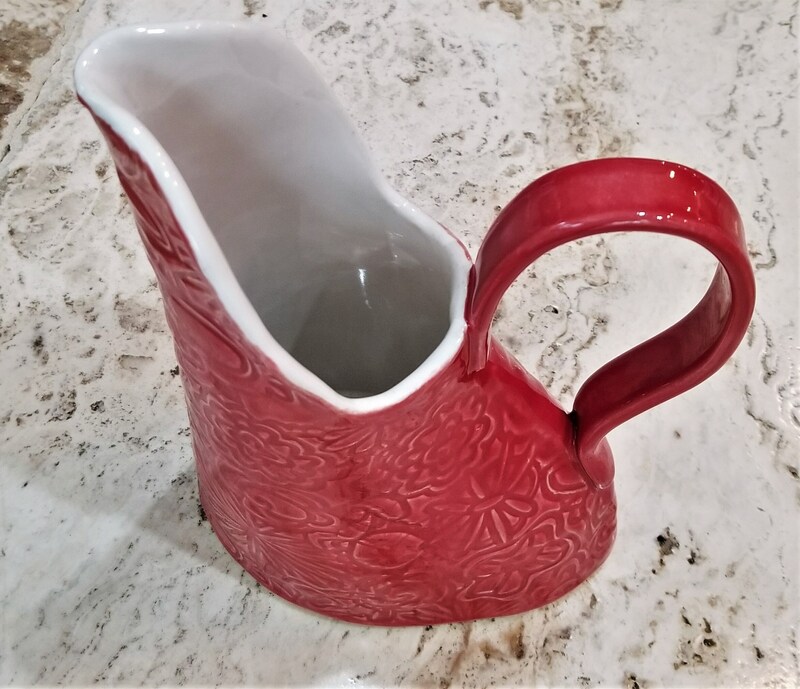 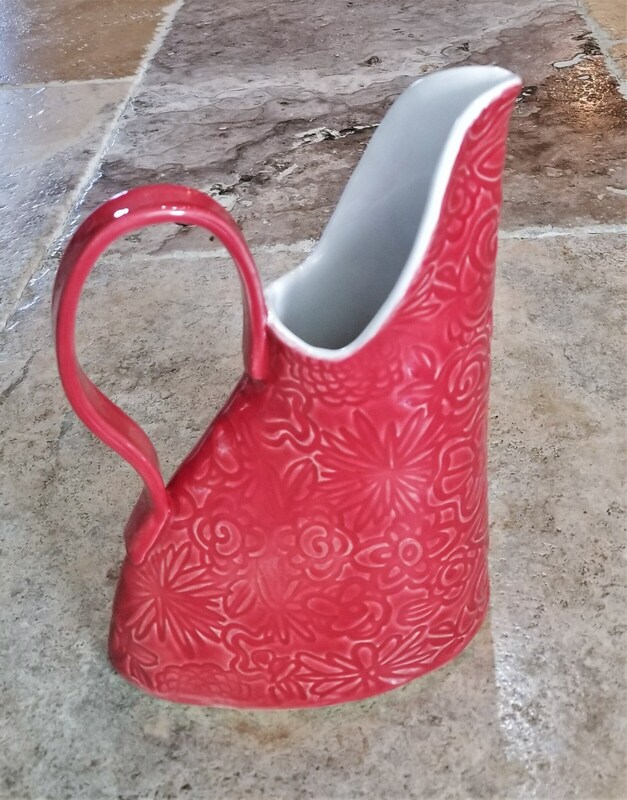 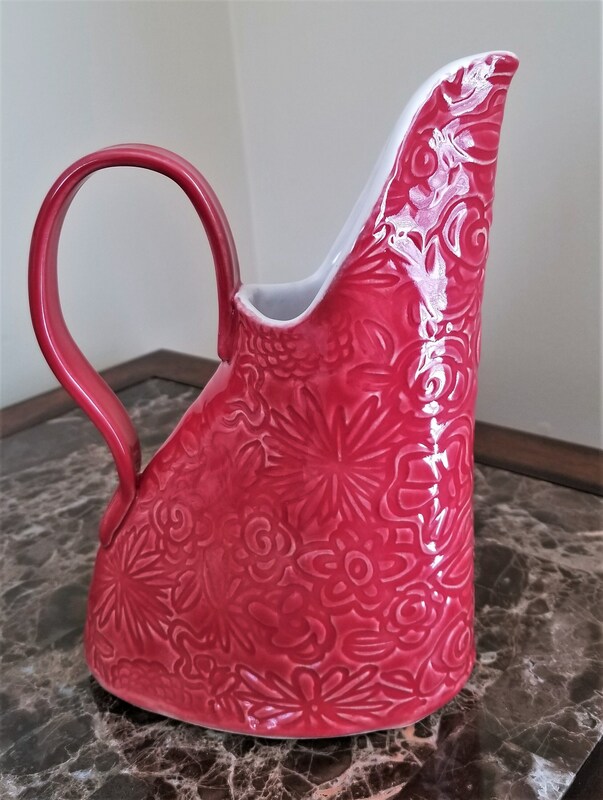 My Red Floral Pitcher is a bold beverage jug for your table. 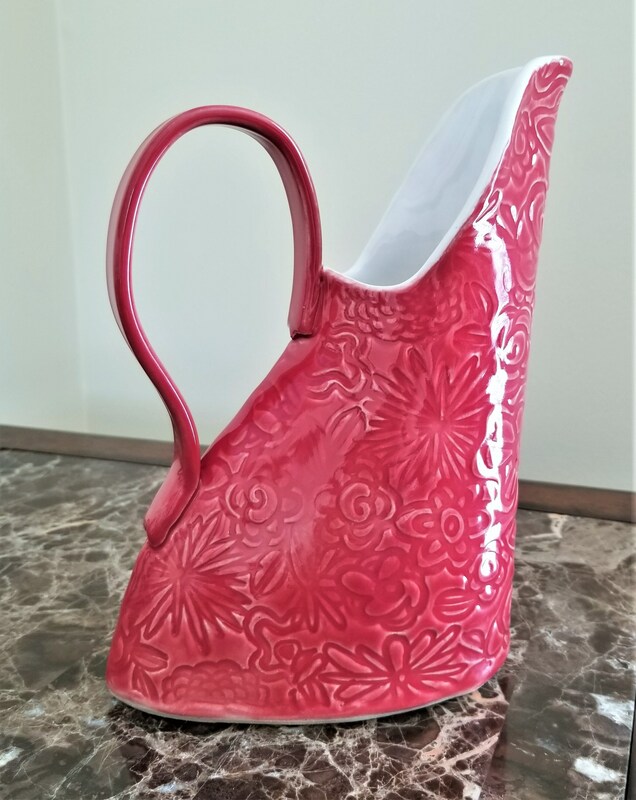 It also makes a wonderful flower vase. 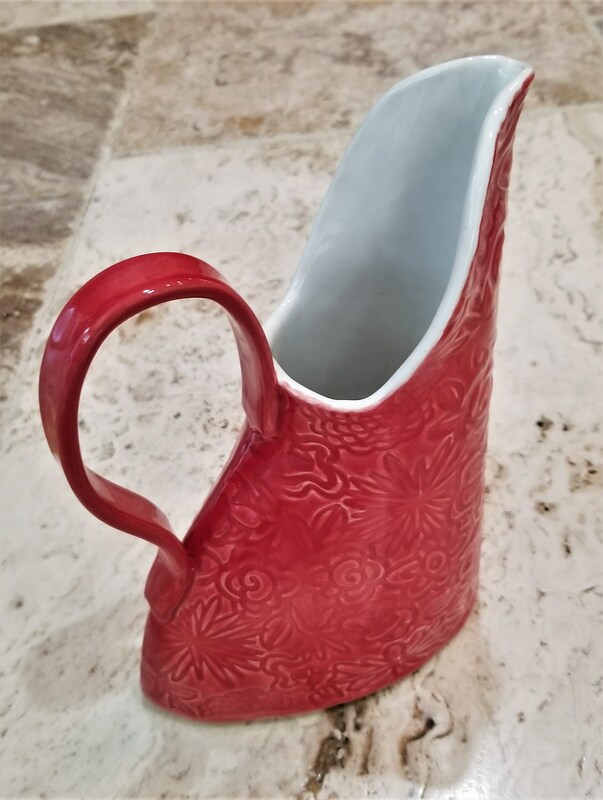 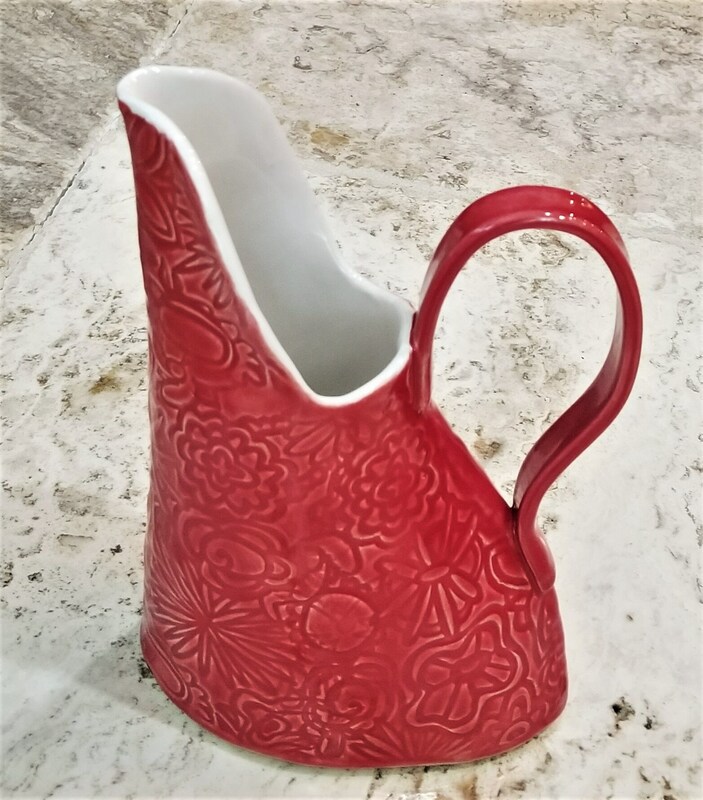 Handcrafted of stoneware clay, this jug is textured with a floral pattern that was glazed in red. 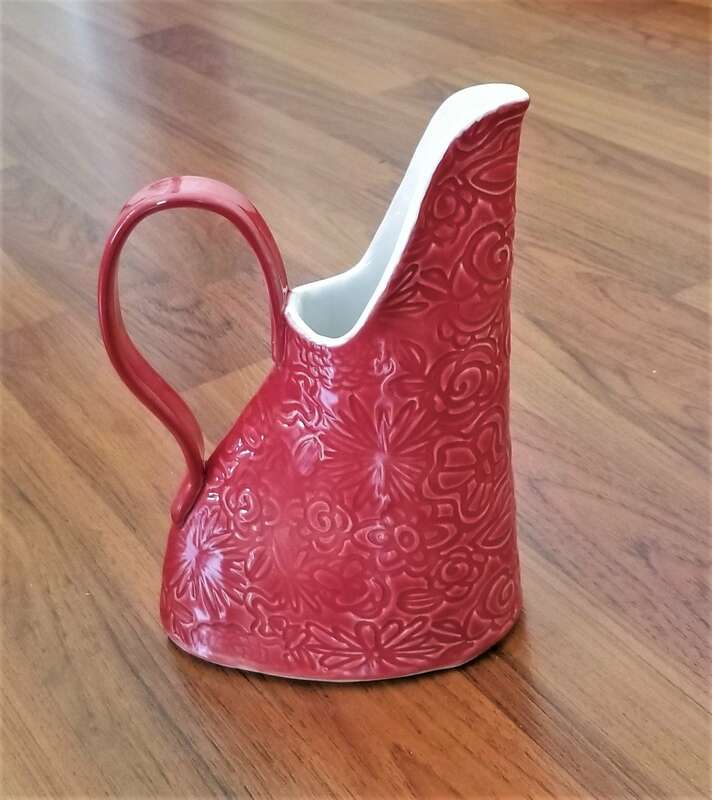 A white glaze on the inside provides complimentary contrast.